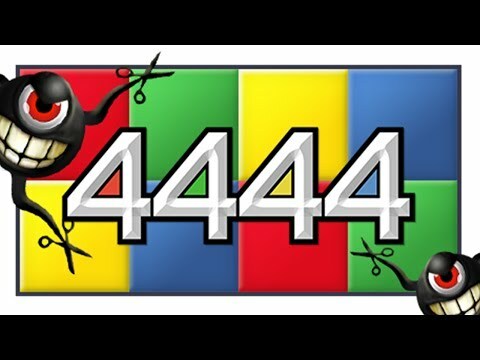 4444 is a puzzle game involving squares within squares. Match the colored tiles in each set of four and make the biggest square all one color to complete each level. Star tiles (Wild Cards) can match any color they are placed in a quad with, but watch out for Rainbow tiles! They change color before they are placed and should be used carefully. You only have a set number of moves to complete each level, so keep an eye on what's coming up and think about where you place your tiles. Try out each of the 3 modes - play now and start completing the quads!